You can’t deny how powerful learning how to communicate in a relationship is. The easier it is to open up to your man, the fewer problems you’ll have with one another. But that’s no easy feat, especially if you’re someone who’s struggled with this in the past. There is a way to learn how to communicate in a relationship much better than you ever have before. Taking the time to make this work will save you from so much other trouble in your relationship. If you want your relationship to last, you’ll start practicing these tips ASAP. 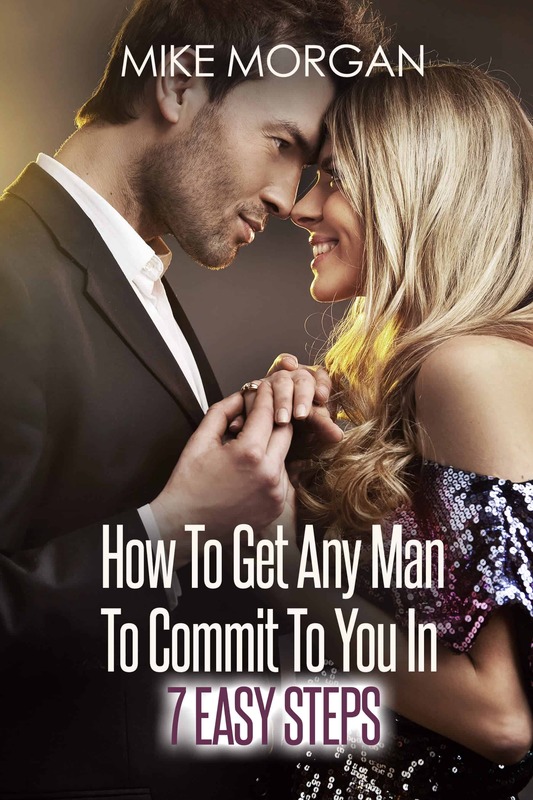 If all the questions you ask your man can be answered with a “yes” or a “no,” you’re not effectively communicating. Men tend to keep things pretty short. If they can answer you with one word, they will. That’s why you have to open the door of communication for him. In order to make that happen, all you have to do is craft your questions so he has to respond with something longer than a word. Instead, ask him what the best thing that happened that day was. Or even ask him to tell you about his day so he actually has to go into detail. This opens up the line of productive communication on both ends. Us girls have a hard time opening up when we’re mad. We stomp around and say we’re “fine” even though we know our man just pissed us off. But here’s the thing: guys can’t read minds. I know, I wish they could too. But the truth is that they also aren’t that great at picking up on clues either. If you want to be able to communicate with your partner well, you have to get comfortable talking about why you’re upset. If he said something that came off as rude, just say, “hey hon, that upset me a little.” And then talk about why. This also serves as a learning tool for both of you. You can’t ignore him or tell him you’re “fine” when you’re most certainly not fine. If he’s pushing and asking why you’re acting upset, then tell him! Nothing good will come from you ignoring him until you just can’t take it anymore. That’s not healthy for anyone. Just be open and tell him how you feel. No matter what it is, you can’t feel stupid about it or your relationship will never flourish. He upset you. It happens. So long as you can tell him why and move on from it, your relationship will last. Don’t just listen to be able to reply. You want to fully comprehend what your partner is saying and why it’s so important to him. Most of us sit and listen just to formulate some retort or argument that’s stronger. When you do this, you lose the meaning of communicating well in the first place. When you’re talking to your man, make sure you digest everything he says. If he gets mad for a certain reason, pay attention to what he’s saying and how. This will clue you in to what’s really going on inside his head and will help you better understand him as a whole. If one of you isn’t great at communicating, it’s the other’s job to pick up on the little things you can talk about. Even though both of you should be working toward healthy communication, it will be harder for one of you than it is for the other. But, thankfully, humans aren’t that great at hiding their body language. Even when we’re silent, our body language speaks volumes. It’s your job to learn how to listen to it and interpret its meaning. Make sure you pay attention to how he’s standing and where he’s facing when he talks to you. It could clue you in to how he’s feeling, which gives you the opportunity to ask him an open-ended question to find out what’s wrong. This seems pretty standard but you’d be surprised at how many people talk (or argue) just to win. When you come into a discussion armed and ready to win, you’ve both already lost. You have to talk to solve the problem, not to win an argument. These are not the same things and by making solving the issue a priority, you can put your pride aside to actually get to the bottom of what’s wrong. This is extremely important because you will always run into problems in your relationship. If you know how to get through them and solve them, your relationship will survive. This is extremely important. If the first thing you do is tell your man what he did wrong, he’ll be defensive right away. You can’t blame him or demand anything of him when you communicate. Instead, you have to give him a reason to change on his own. This is best done by showing him that his behavior hurt you. Explain how you feel as a result of what he did – not that he did it to you. Structuring your conversation this way will keep your man open to hearing what you have to say. Instead of attacking him, you’re approaching him with the fact that you’re hurt and then explaining why. The more receptive you both are during conversation, the smoother it will go. Learning how to communicate in a relationship isn’t always easy. You really have to get to know each other so you can form better habits when it comes to addressing one another about any issues you have. These strategies will help you get started toward a healthier relationship.